This quarter theme: “Writing with an audience"
this wiki and your UC email—check these frequently! **please purchase a journal to use for all our in-class writings. Unless otherwise specified, all work (except in-class writing) should be double-spaced and typed using 12pt Times New Roman or Arial font with 1-inch margins all around. Please follow the MLA format as best you can—paying special attention to headings, page numbers, and source citations. In hopes of sparing some trees, this course is mostly paperless. All major papers will be submitted electronically. I will give you plenty of advance notice about how to submit each paper. Writing is a process. Therefore, you will have the opportunity to revise your papers and re-submit them. Take advantage of this! Try not to stress out about “where you are” in this class. This is closer to an art class than a math class. In other words, try your best to focus less on evaluation and more on your own level progress and comfort with writing. At any point in the quarter, you can set up a conference with me, and I will give you a progress report. At the end of the quarter, you will electronically submit a “portfolio” of polished work, which will include two revised papers plus a reflection. MAKE SURE TO SAVE ALL DRAFTS WITH MY COMMENTS/TENTATIVE GRADES. You will be submitting those with the portfolio, so I can easily see how/where you are improving. Note: students who do not turn in a completed portfolio or receive lower than a C- on the portfolio must retake English Composition 101 before moving on to English Composition 102.
will receive an NP. This grade means you must retake Comp 101. I know this portfolio stuff can be confusing at times. If you have questions, please ask! I will be happy to clarify. Breathe. Be calm. To “attend” means to be physically present as well as mentally present. If you are napping in class, you will be marked absent for the day. If you cannot participate due to forgetting books or not completing assignments, you shall be considered absent. UC’s official attendance policy is this: you are allowed two unexcused absences. (An excused absence is an absence due to a University-sponsored event and religious holidays.) Beyond those two, each absence will lower your final grade at my discretion. In addition, missing three or more classes is grounds for automatically receiving an NP in the course. Because of the swine flu going around, my advice is to not waste your two absences on "skip" days. Save them for if you truly get sick. If you have the flu, stay home! Call the campus health center, and ask them what you should do; sometimes you should be seen by a doctor, and sometimes it's best to rest and stay home. Be on time! Frequent lateness will affect your classroom participation grade. If I am ever more than ten minutes late to class, you may leave without penalty. You must stay for the entire class period to be considered present. If special needs arise regarding arriving late or departing early, please talk to me in advance. If you miss class, contact your buddy before contacting me and before the next class period to find out what was missed. If both buddies are absent on the same day, then you may contact me. If your buddy drops the class, please let me know, and I will assign you a new buddy. Located in 257 McMicken, the Writing Center houses a team of qualified writers and teachers whose job it is to give you personal, one-on-one attention and support with your writing projects for English class or any of your other classes. This service is free. Call 556-3912 or visit the lab to make an appointment. Late work will not be accepted. Absences will not exempt you from due dates. Technology-related issues will not be an excuse for late work. Consider investing in a flash drive—they’re fairly cheap at the UC bookstore. Don’t trust the UC filespace. 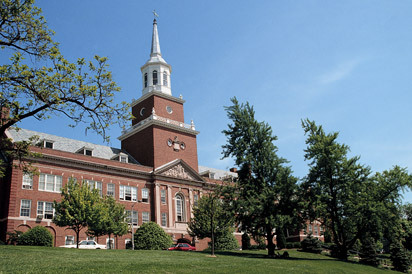 There is a free computer lab in the basement of McMicken, and also various free computers in Langsam library. If you are a resident of Cincinnati, their library system is awesome; they offer free computer use to the public. To be frank, it’s pathetic to turn in a paper that you didn’t write. There is more dignity in earning a low grade on your merits than there is in claiming credit for another’s work. The penalty for plagiarism is an automatic grade of F for the course and a letter detailing your plagiarism in your college file. Students with learning disabilities must present their teacher with official documentation from the Disabilities Services office during the first two weeks of class so that necessary arrangements may be made.